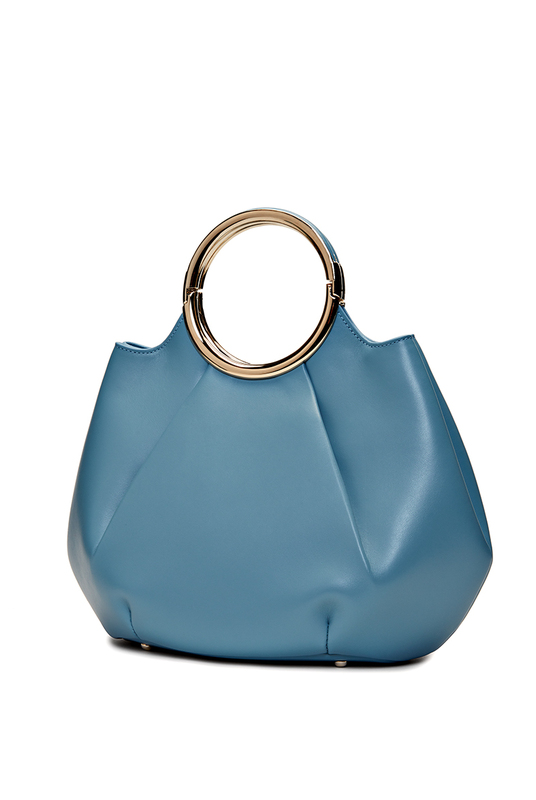 In an instant the Genny brand bucket will enter your wishlist thanks to its structured design and sophistication of detail. 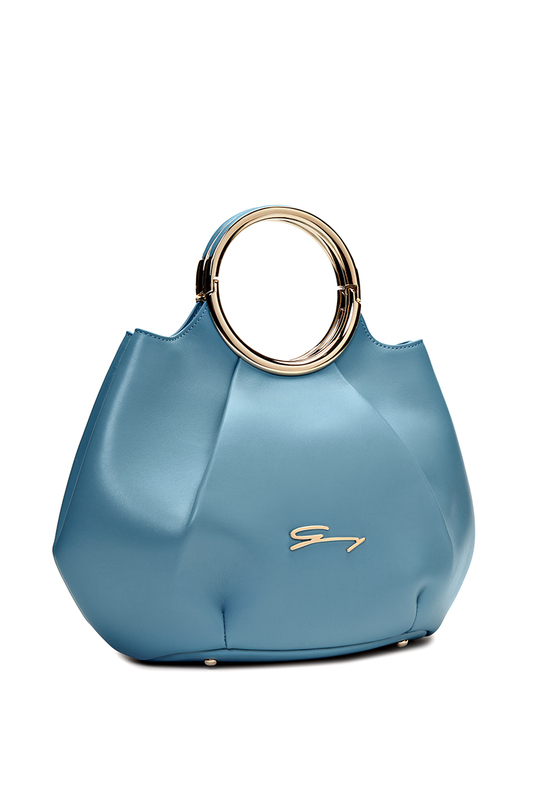 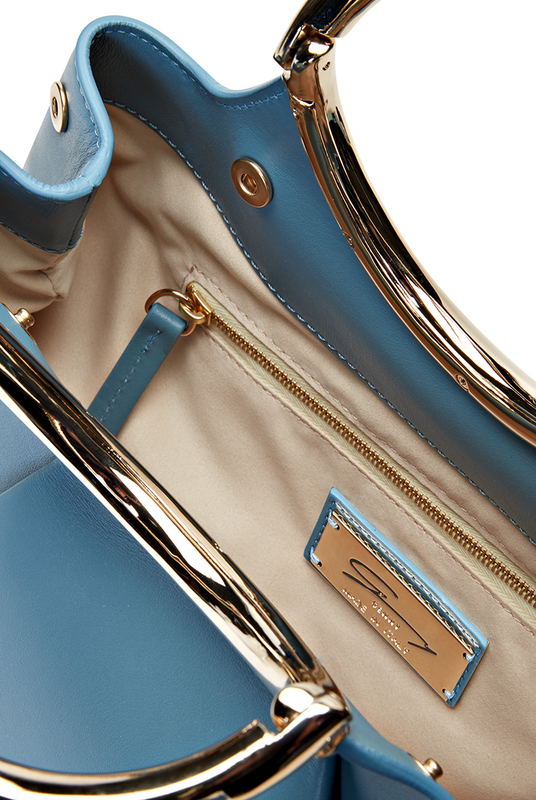 The golden hinged handles of elliptical shape lend a touch of shine to the petrol blue shade of this smooth leather. 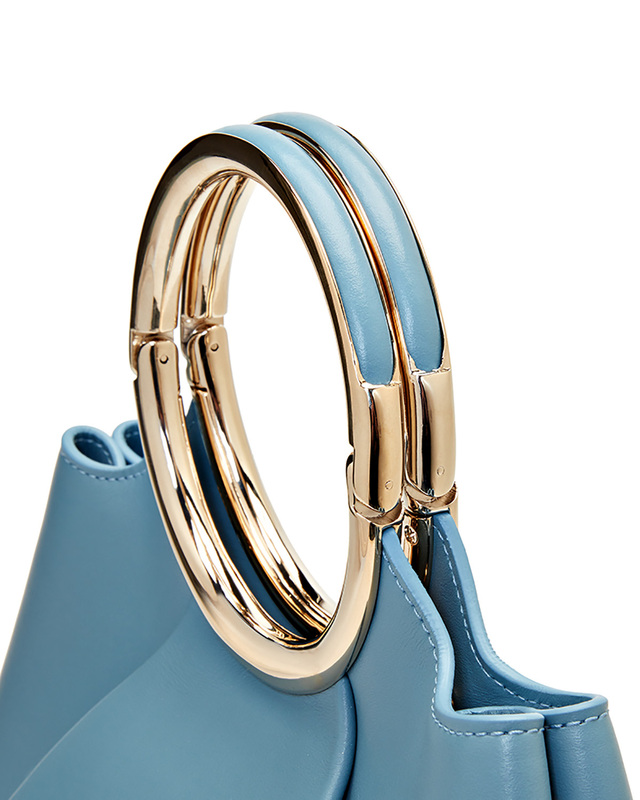 A glam accessory that may elegantly accompany your spring ensemble.